If you are unfamiliar with the "Hang" drum, it is a Swiss-born instrument that looks like a UFO and sounds something like a cross between marimba and a steel drum. 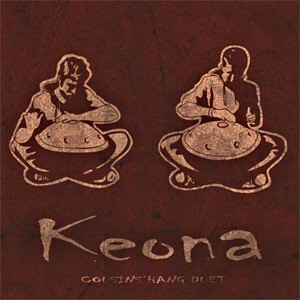 French hang players going by the name Keona perform gorgeous, melodic duets that resonate with my inner Drukqs fan. This video of their performance of a song called nim nim má is a captivating piece of intricately percussive acoustic IDM. Their synchronization is impressive, as well as their dynamic playing and interesting harmonies. I'd also recommend them to anyone who enjoys Plaid or gamelan music. More songs and videos can be found as well as CDs for purchase by following the links under the video. Awesome! I really enjoyed that, thanks. I'll be sure to pop over and check them out at MySpace.